The Wheatstone Project in Western Australia achieved first production of liquefied natural gas (LNG) this week. At full capacity, Wheatstone’s two LNG trains will supply 8.9 million tonnes per annum for export. The project can also provide up to 200 terajoules of gas daily for the WA market. APPEA Chief Executive Dr Malcolm Roberts congratulated Chevron and its joint venture partners KUFPEC, Woodside Petroleum Limited and Kyushu Electric Power Company, together with PE Wheatstone Pty Ltd, part owned by JERA. Dr Roberts said Wheatstone was the latest project in a wave of unprecedented LNG investment that would deliver enduring benefits for all Australians. 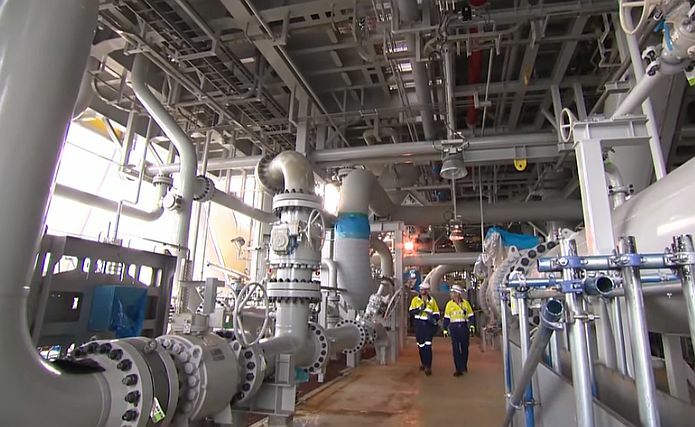 “The Chevron-operated Wheatstone Project has delivered enormous economic benefits to Australia during its construction – more than 7000 direct jobs and more than $20 billion spent on local goods and services through 300 different Australian companies,” he said. Dr Roberts said Australia was reaping the benefits of $200 billion worth of new investment that would see LNG exports surge from 30 million tonnes in 2015 to more than 85 million tonnes by 2020. Five new LNG projects have been completed since 2014 (Queensland Curtis LNG, Gladstone LNG, Australia Pacific LNG, Gorgon and Wheatstone) and another two are nearing production (Prelude Floating LNG and Ichthys). Dr Roberts said the industry’s growth meant Australia was on track to overtake Qatar as the world’s largest LNG exporter in 2018. “These are long-term legacy projects that will support economic growth and deliver jobs, taxation and export revenues for Australia for decades to come,” he said. “Natural gas is expected to be the world’s fastest growing traditional fuel, with the International Energy Agency forecasting global production to increase by 48 per cent to 2040.